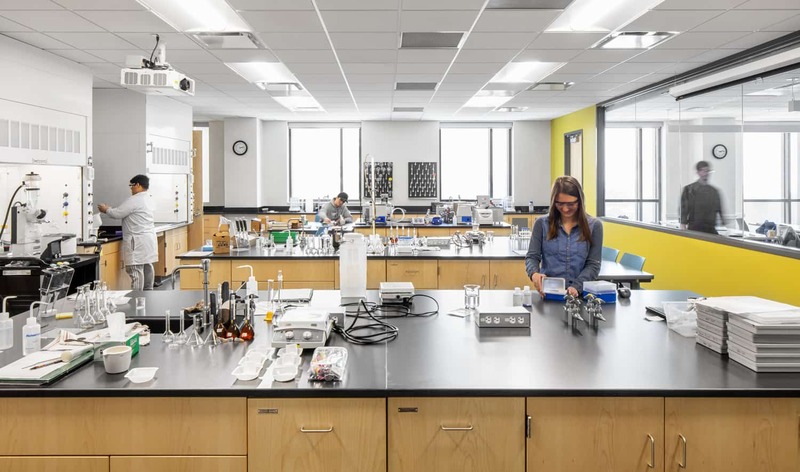 Driven by the vision to expand and develop a STEM program capable of rivaling its Midwestern peer colleges and attracting the brightest minds to campus, Cornell College worked with BWBR to study renovation options for West Science Hall. 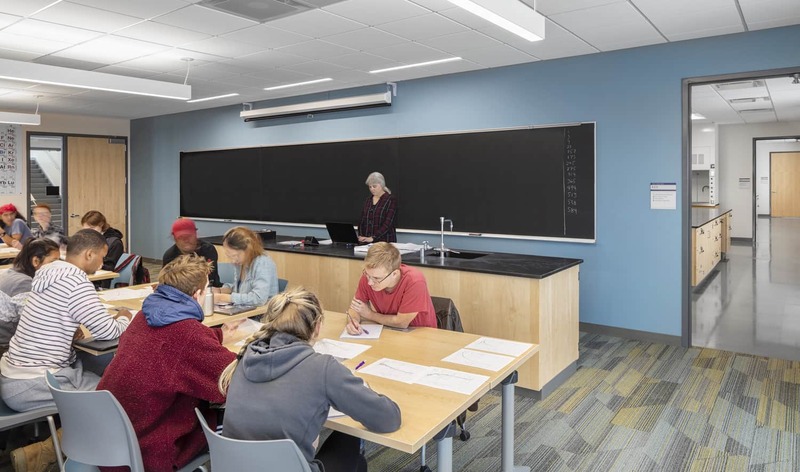 BWBR’s collaborative planning process identified that a new stand-alone science building and remodeling in the existing building would both fit within the project goals and budget, thus leading to the first new academic building on the Cornell campus in approximately 40 years. 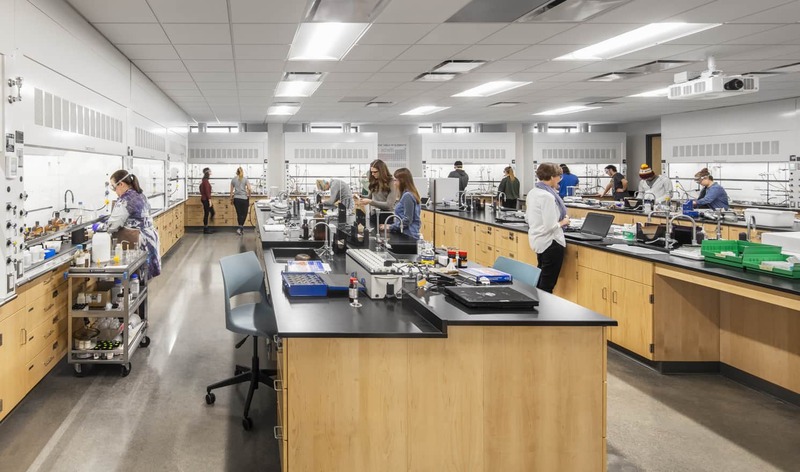 The new Russell Science Center is sited adjacent to the existing West Science Hall, allowing the science programs to remain physically close while expanding capabilities in research and teaching. 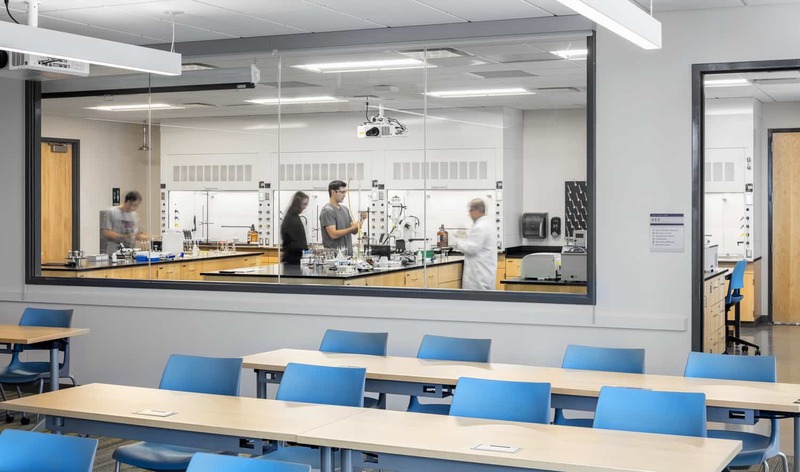 Laboratories for the Biology and Chemistry departments are designed to flex between labs and lectures, and hood- and chemical-intensive lab courses feature adjacent classrooms to ease the flow between course functions. 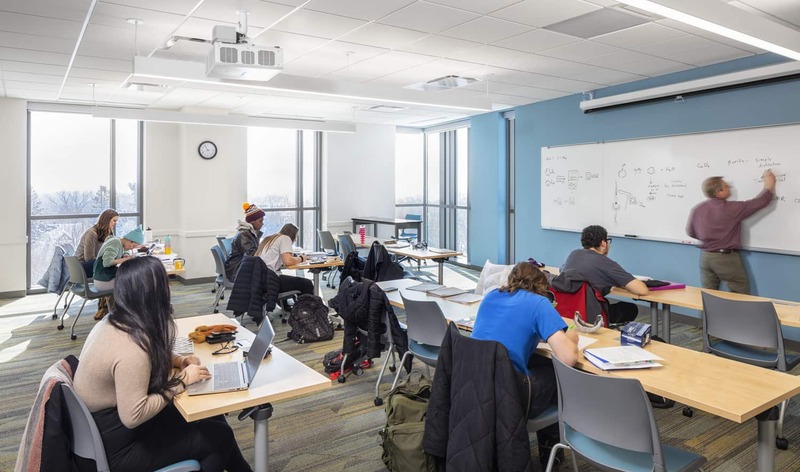 Student/faculty lounges are nearby to complement the classrooms and laboratories, providing areas of respite, collaboration, and informal learning for students who spend all day in the same class in Cornell’s unique one-course-at-a-time block format. 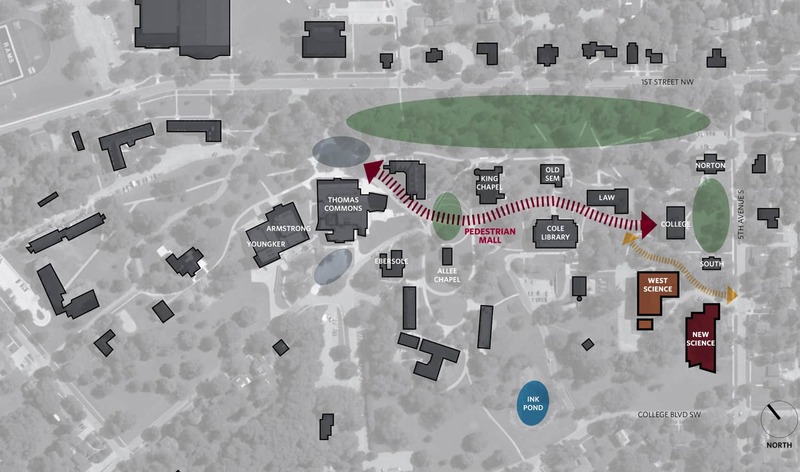 The next phase of renovations to West Science Hall will bring the Physics and Engineering, Math and Statistics, and Computer Science departments up to date. 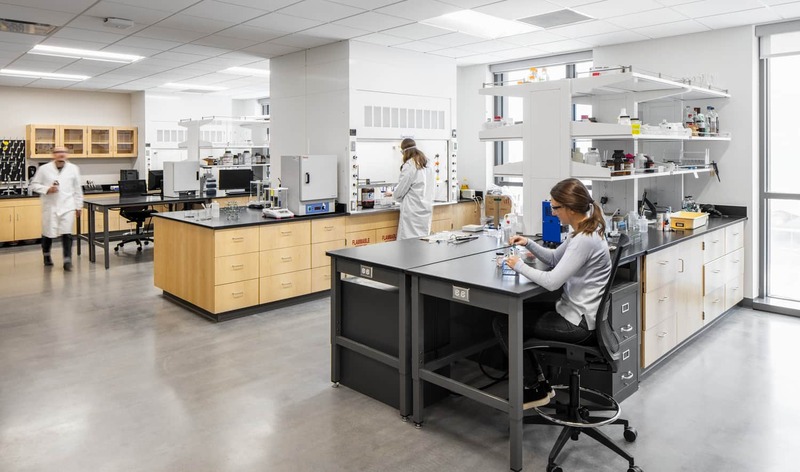 The renovation will also introduce Cornell’s new Engineering program, which requires additional lab space and infrastructure to support project- and team-based work.